Gold and silver are long-term hedges against inflation, expanding government, and economic disruption. You should buy coins for the long term, putting them away for five, ten, 15, even 20 years. Coins have been one of the best tangible items to hold for long periods of time. They are a good supplement to a retirement program, as well as a long-term hedge. 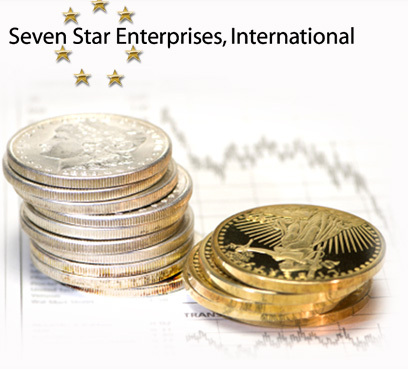 That is why we stress a lifetime of gradual accumulation of gold and silver coins. Gold American Eagle - 1 oz. 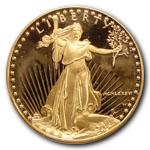 Gold American Eagle - 1/2 oz. 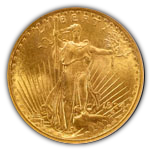 Gold American Eagle - 1/4 oz. Gold American Eagle - 1/10 oz. Gold Canadian Maple Leaf - 1 oz. Gold Canadian Maple Leaf - 1/2 oz. Gold Canadian Maple Leaf - 1/4 oz. Gold Canadian Maple Leaf - 1/10 oz. Gold S. African Krugerrand - 1 oz. Gold S. African Krugerrand - 1/2 oz. Gold S. African Krugerrand - 1/4 oz. Gold S. African Krugerrand - 1/10 oz. Gold Australian Kangaroo - 1 oz. Gold Australian Kangaroo - 1/2 oz. Gold Australian Kangaroo - 1/4 oz. Gold Australian Kangaroo - 1/10 oz. Gold Austrian Philharmonic - 1 oz. Gold Austrian Philharmonic - 1/2 oz. Gold Austrian Philharmonic - 1/4 oz. Gold Austrian Philharmonic - 1/10 oz. Gold American Buffalo - 1 oz. Gold Chinese Panda - 1 oz. 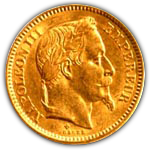 Gold Mexican 50 Peso - 1.2 oz. Gold Austrian 100 Corona - .98 oz. Gold Bullion Bar (.9999) - 1 oz. Gold Bullion Bar (.9999) - 10 oz. Gold Bullion Bar (.9999) - 1 kg. Gold Bullion Bar (.995+) - 100 oz. Gold Bullion Bar (.995+) - 400 oz. Silver American Eagle - 1 oz. Silver Canadian Maple Leaf - 1 oz. Silver Bullion Round - 1 oz. 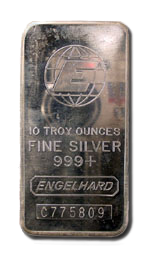 Silver Bullion Bar (ISO Accredited) - 10 oz. Silver Bullion Bar (ISO Accredited) - 100 oz. Silver Bullion Bar - 1000 oz. 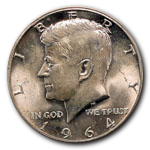 U.S. 40% Silver Coinage (1965-1969) - 295 oz. U.S. 90% Silver Coinage (Pre-1965) - 715 oz. Platinum American Eagle - 1 oz. Platinum American Eagle - 1/2 oz. Platinum American Eagle - 1/4 oz. Platinum American Eagle - 1/10 oz. Platinum Canadian Maple Leaf - 1 oz. Platinum Canadian Maple Leaf - 1/2 oz. Platinum Canadian Maple Leaf - 1/4 oz. Platinum Canadian Maple Leaf - 1/10 oz. Platinum Australian Koala - 1 oz. Platinum Australian Koala - 1/2 oz. Platinum Australian Koala - 1/4 oz. Platinum Australian Koala - 1/10 oz. Platinum Isle of Man Noble - 1 oz. Platinum Bullion Bar (.9995+) - 1 oz. Platinum Bullion Bar (.9995+) - 10 oz. Platinum Bullion Bar (.9995+) - 50 oz. Palladium Canadian Maple Leaf - 1 oz. Palladium Bullion Bar (.9995+) - 1 oz. Palladium Bullion Bar (.9995+) - 10 oz. Palladium Bullion Bar (.9995+) - 100 oz. Immediate Delivery On All Products Any Where In the U.S.!